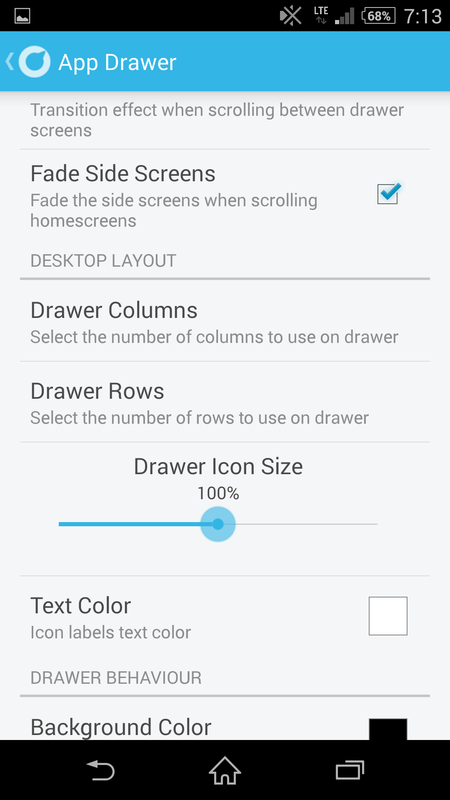 Solo Launcher is an attractive and highly customizable Android launcher developed by the Solo Launcher Team. 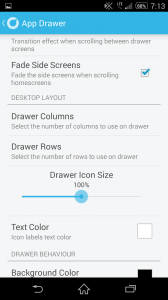 Android launchers are a popular style of application among Android users. Since Android phones, unlike iOS devices, are made by a variety of manufacturers, there is no standard layout for the operating system across all phones. This means that, though they all run various versions of the Android operating system, Android phones from different manufacturers can have vastly different operating systems, with various degrees of utility and cosmetic appeal. 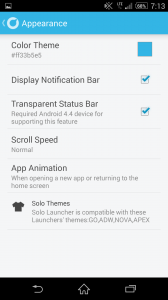 This is where launchers come in, applications which essentially re-skin your phone, giving it a whole new look and sometimes brand new functionality. 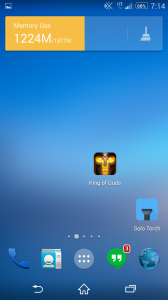 Solo Launcher is one of these launchers, and a very god one at that. The app has a staggering amount of options, from obvious changes like different themes all the way to more specific changes like changing how notifications are handled and displayed. 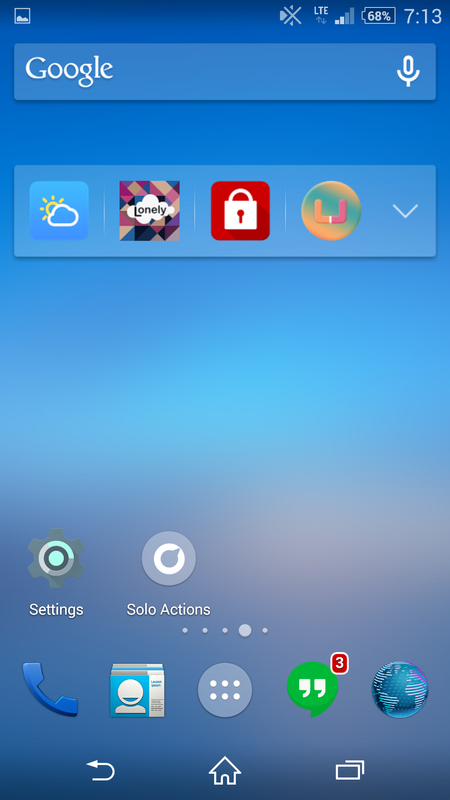 Solo Launcher looks good and works well even before any tweaking is done, but if you take the time to pour through the multitude of options you’ll almost certainly be able to create the Android experience you’ve always wanted. As a bonus, none of these options are locked behind a paywall, which is surprising considering that’s how most free launchers operate. 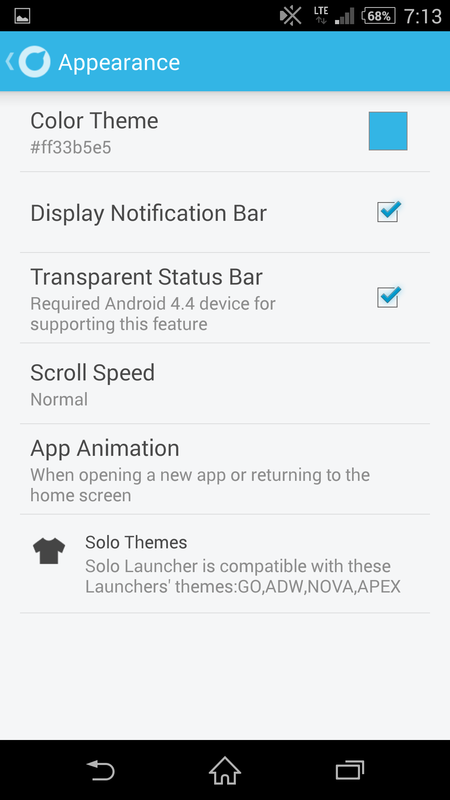 Another advantage Solo Launcher possesses over it’s Android launcher competition is it’s surprisingly good performance. Launchers often have the unfortunate characteristic of slowing down phones to various degrees, but Solo Launcher manages to almost completely avoid this. 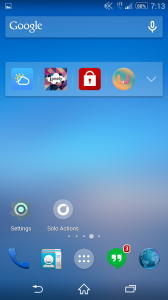 Solo Launcher is a great Android Launcher, it provides a multitude of options for users to tinker with, a simple and clean default aesthetic and almost no impact on phone performance. If you’re not a fan of you’re phone’s default look, or simply fell that it’s getting old, Solo Launcher might be worth taking a look at.